Robust , efficient modern and smart. Robust Design: The machine is designed to deliver high level of performance in terms of productivity, quality and reliability. Quality assured: Produced in high end manufacturing facility with CNC Machines. Rated Production capacity: 2500 Bricks/hr & 12 bricks/Stroke. Uniform density Brick: Specially designed feeder mechanism ensures equal filling of material in all cavities of mould. Higher Mould life – Special grade steel used. 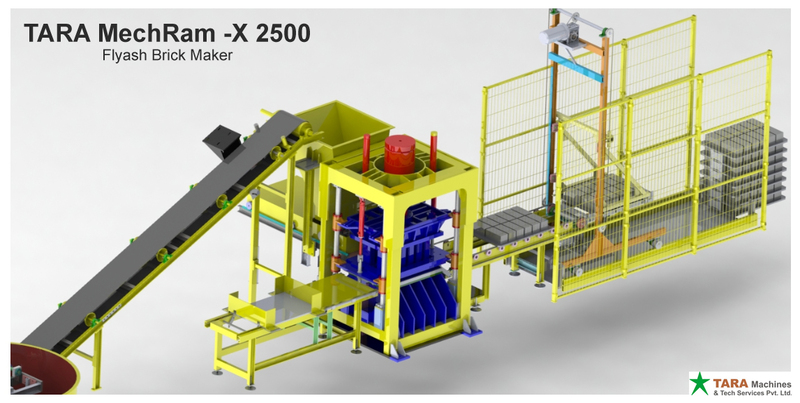 Minimum breakage during brick handling, Customized pallet and specially designed hydraulic trolley. Low maintenance: Wear and tear of moving surfaces is minimized by providing guided bushes with lubrication.